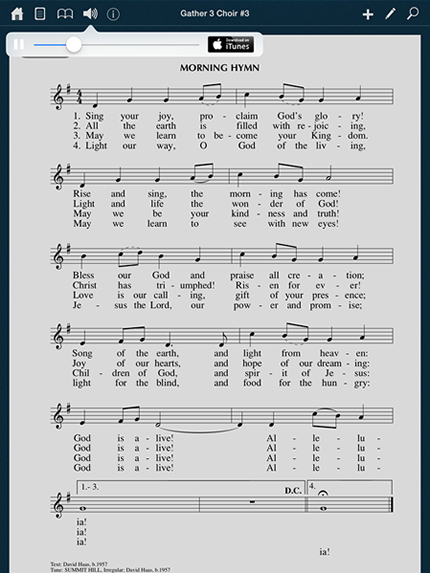 Hymnals is a remarkable app that brings all the elements of your favorite hymnal–and more–right to your tablet and mobile devices. 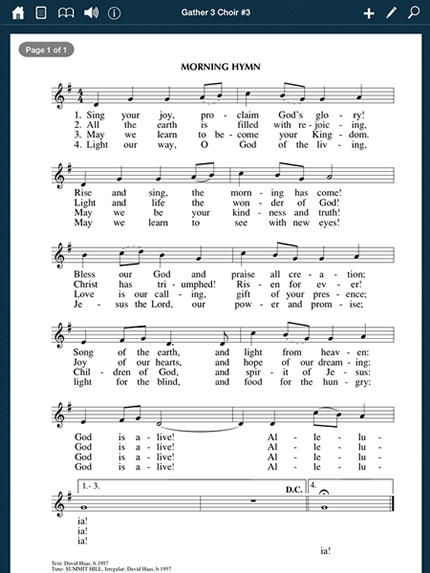 It is free to download from the Apple App Store or on Google Play and includes three free sample hymns. 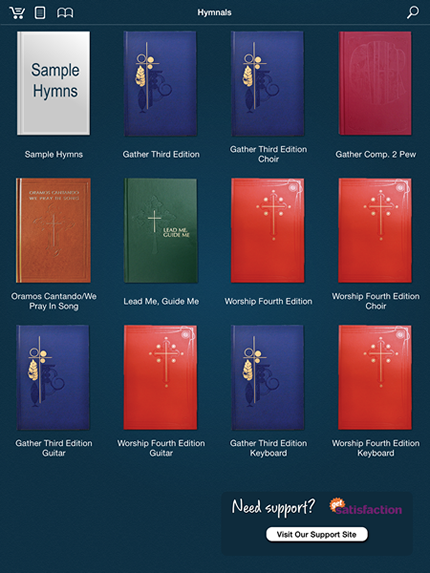 Full editions and resources can be purchased through Hymnals using an in-app purchase. The following editions of our best-selling Roman Catholic hymnals and their ancillary resources are available to you now with more in development and coming soon. Hymnals offers the complete contents of your hymnal in a compact, lightweight form–no more dragging around multiple hymnals and service binders! The app is perfect for choir members or churchgoers. 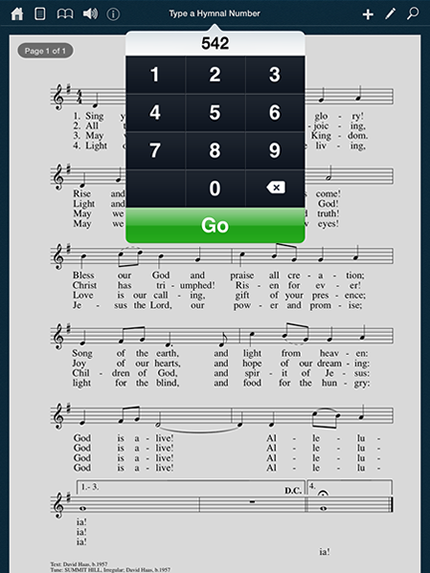 Swipe or tap to easily page through hymns, or create and manage your own Service Lists! The music and words are crystal clear.